During the days of the burbonic plague that decimated Europe and Asia, there is a legend of four thieves. These thieves were former perfumist and known to steal from the dead and infected. They did this for years without ever being affected by the deadly disease. After years of stealing, they were caught and sentenced to be burned at the stake for their crimes. They were offered leniency if they revealed how they avoided contracting the disease. Eventually they explained the concoction of herbs, garlic, and vinegar used to make this miracle medicine. They claimed the blend was rubbed on their bodies and kept them from ever being affected by the disease, despite physical contact with the infected. After the secret was revealed, they were executed. Since that time, researchers have taken essential oils from herbs and products used in the original blend and applied them to popular immune support blends. They are believed to; and some studies claim; that the blend is effective in fighting airborne illness. It is from this research, that we created our own blend / version of "Thieves Oil". 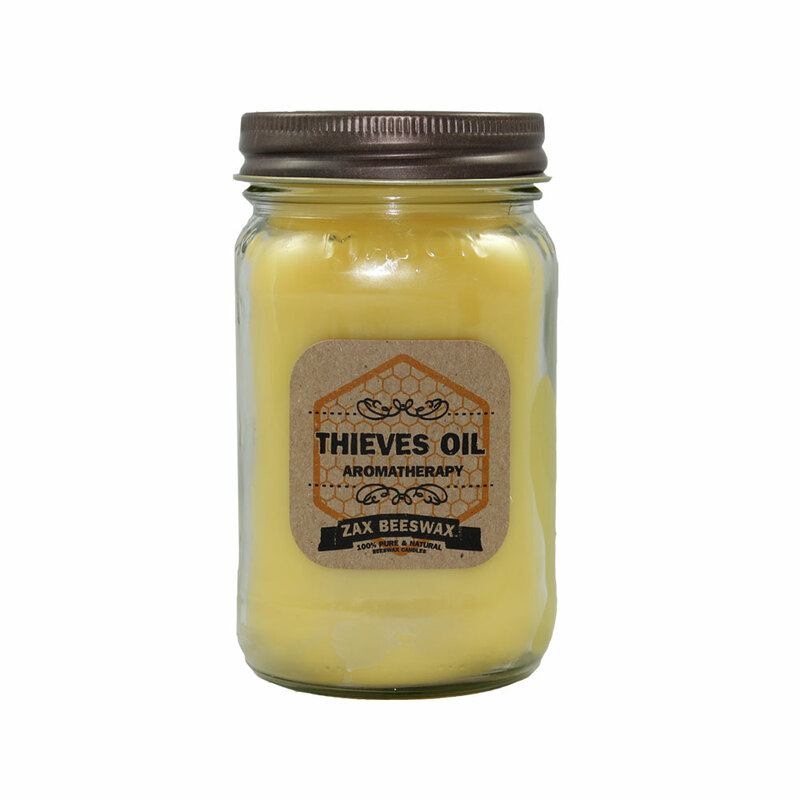 "THIEVES OIL" TYPE - An Enticing blend of blackberries and raspberries with middle notes of violet and honeysuckle finished with bottom notes of sweet vanilla cream and plum blossoms. **Please note: 'Thieves' is a registered trademark of Young Living LLC. This product is not owned by or associated with Young Living or any of it's affiliated companies. This product is in no way intended to confuse and / or represent itself as 'Thieves' the popular product by Young Living LLC and it's affiliated companies. Instead, this product is out version of "Thieves Oil". Ingredients: 100% Pure & Natural Beeswax, Coconut Oil, Pure essential oils,  Zinc-Free Natural Cotton Wicking. This scent is awesome. It’s just the right scent strength- not too potent yet you can smell it and it’s not overwhelming. I’m burning it during the summer but will make a great fall/winter scent too! It burns nicely and is a healthier alternative to mass produced store bought candles plus I prefer to buy from small businesses and this biz is outstanding! I’m a repeat customer & love everything I’ve purchased from Zax Beeswax and the customer service is awesome too!